Rarely has the fixture list been so generous to fans as it was with the Matchday 15 line-up, which pitted all top six clubs into intriguing head-to-heads. As always, bundesliga.com will keep you apace with all the latest news, build-up and reaction. That's it from us for Matchday 15. Check out all the post-match reaction on the site, and join us again for Matchday 16, which kicks off on 11 December with 1. FSV Mainz 05 vs. VfB Stuttgart at 20:30CET/19:30GMT. There was no separating Stuttgart and Bremen as the two sides played out a 1-1 draw at the Mercedes-Benz Arena in today's early game. Lukas Rupp put the Swabians ahead, but Anthony Ujah levelled for Werder in the second half. Stay tuned for more reaction from that one. His side may have lost to Gladbach yesterday, but it's not all doom and gloom for Franck Ribery! Mark Uth saved TSG 1899 Hoffenheim's bacon on Saturday with a 95th-minute equaliser at FC Ingolstadt, who had led through Roger's second-half free-kick. The point did little to help either side, in truth, with the visitors still searching for their first win under Huub Stevens and Ingolstadt with only one victory in seven league matches. Raul Bobadilla’s stunning free-kick earned Augsburg all three points at Köln, who have failed to find the back of the net at the RheinEnergieStadion since September. FCA started the season slowly but are beginning to climb the table. 1. FSV Mainz 05 extended their impressive unbeaten run to five matches with a 3-1 victory at in-form Hamburger SV. The win lifts Martin Schmidt's side above Leverkusen and into seventh. VfB Stuttgart and SV Werder Bremen face each other at 15:30CET/13:30GMT in what could already be described as a relegation six-pointer. Victory for the Swabians would lift them off the foot of the standings, while Werder could climb out of the bottom three with a win at the Mercedes-Benz Arena. There are a couple of huge games to look forward to today, including the first encounter between local rivals Frankfurt and Darmstadt in over 30 years. The Lilies have an impressive away record this season and will be confident of getting something from the game at the Commerzbank Arena, which kicks off at 17:30CET/16:30GMT. Die Werkself suffered their sixth league defeat of the season at Hertha Berlin, who remain fourth in fourth place going into Matchday 16. On the plus side for Roger Schmidt's men, Javier 'Chicharito' Hernandez continued his excellent scoring run with a goal at the Olympiastadion - his seventh Bundesliga strike of the campaign. How are we all doing today, Mönchengladbach fans? Some of you might be feeling a little worse for wear this morning, and we don't blame you! On Saturday, the Foals became the first team to beat Bayern München in the league this season, courtesy of a 3-1 victory at the BORUSSIA-PARK. Take a bow, Andre Schubert! That was a breathless 90 minutes of Bundesliga football! FC Bayern beaten by Gladbach, Hertha continuing their good form...but why are we telling you? Find out for yourself. All you need to know is Join us again on Sunday for all the build-up to the remaining Matchday 15 games...if you can catch your breath! A thrilling afternoon of Bundesliga football is about to begin. We'll be back in a couple of hours to bring you all the reaction from today's games. First time in 99 matches that Pep Guardiola has stuck with the same XI. It's a big day for Wolfsburg coach Dieter Hecking. It may be December already, but the sun is shining on Ingolstadt this afternoon. A good sign for Die Schanzer? We're looking forward to a great game in the glistening sunshine! Overcast in North Rhine-Westphalia. Can Köln brighten their supporters' day by scoring their first home goal since September? It's not going to be easy against an Augsburg side beginning to show signs of life under Markus Weinzierl this season. Douglas Costa and David Alaba are not letting their respective injuries get them down. The duo have been receiving treatment back in Munich while their team-mates prepare for Gladbach. Let us not forget the rest of today's Matchday 15 action. Plenty of intriguing tussles taking place around the country on Saturday, including eighth-place Hamburger SV's (who would have thought that at the start of the season?) clash with 1. FSV Mainz 05. 1. FC Köln host FC Augsburg, while FC Ingolstadt welcome rock-bottom TSG 1899 Hoffenheim to the Audi Sportpark. Predictions for today's clash at BORUSSIA-PARK? Could be a cricket score with these three players on the pitch...! Austrian international David Alaba will miss the rest of the calendar year through injury, but rest assured he will be cheering on his team-mates in front of the telly this afternoon! It's sixth versus seventh on Saturday, too, with Hertha Berlin hosting Javier 'Chicharito' Hernandez' Bayer 04 Leverkusen at the Olympiastadion. Die Werkself players are loosening up with a trot around the capital. Looks a bit nippy, though! Fifth against first, followed by third against second. What a day we have in store in the Bundesliga! Make sure you stay tuned as we build up to Bayern's trip to Gladbach, Dortmund's clash with Wolfsburg and the rest of today's top-flight action. Check out the two graphics below and make a note of the kick-off times! The Royal Blues recorded their first win in six on Friday, beating Hannover 96 3-1 at the VELTINS Arena to move temporarily up to fourth in the Bundesliga. Johannes Geis, Klaas-Jan Huntelaar and Franco Di Santo got the goals for Schalke, but their best player - arguably - was Leroy Sane. That’s all for today, but we’ll be back on Saturday for the small matter of Gladbach vs Bayern and Wolfsburg vs Dortmund. You don’t want to miss it. The clash between Schalke and Hannover is about to start. We will be back with all the reaction at full time. Dortmund's Pierre-Emerick Aubameyang and Wolfsburg's Josuha Guilavogui go back a long time. Köln are putting their faith in goalkeeper Timo Horn for tomorrow's clash with Augsburg. After his recent return to training, Bayern have announced that Franck Ribery will be part of the squad travelling to Mönchengladbach. 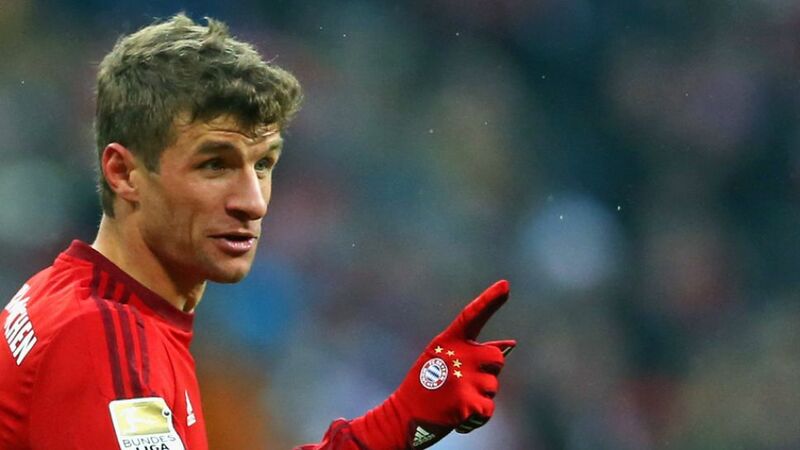 It is the first time the Frenchman has been part of a Bundesliga squad since March. Will the champions still be smiling come 17:30 tomorrow? "They always play on the front foot, always look to go forward. I like these teams!" VfB will be in Belek, Turkey from 5 until 14 January, the tweet below confirms. "Wolfsburg are a very good team. I'm not sure if there is a favourite." "He [Josuha Guilavogui] wrote to me, saying that they will win. I was a bit angry after that, but we'll see tomorrow. He's a good friend of mine, but tomorrow is my enemy…I won't speak to him tomorrow, only after the game. It'll be revenge |for the DFB Cup final]. It's an important game for us. I hope to win this game." "For me, it's about revenge," in reference to the DFB Cup final in May, which Dortmund lost 3-1. "I'm not thinking about revenge. You can't repeat games"
"If we play like we did in Hamburg than we may as well not make the journey." "We have confidence in the players who are available to us." "Sokratis, Mats Hummels and Julian Weigl are still ill and are unlikely to make the trip to Wolfsburg." Pep Guardiola has been speaking to the media ahead of the champions' trip to Gladbach. On Franck Ribery: "He's a special player and it's good he's participating in light training." On his Coach of the Year nomination: "I'm happy to be there, but what Sampaoli has done with Chile is incredible. I'm looking forward to seeing him and Luis Enrique at the gala." Douglas Costa, David Alaba and Arjen Robben will miss Bayern's clash at Borussia Mönchengladbach this weekend. The FC Augsburg head coach has been talking to the media ahead of his side's clash with Köln. "We always try to play on the front foot and confidently!" "With their great fans behind them, Köln are a tough side. We'll have to watch out!" "I expect Köln to play to win. It'll be the little things which decide this one and it'll be a really tense game." Malli, Muto and Co are in Hamburg this weekend. "We're very well prepared," said Bayer coach Roger Schmidt before his side's clash with Hertha tomorrow. "A whole week of training has done us good." Dortmund welcomed over 2,000 fans to their public training session last night. ...in emoji form. Click here for a full preview of Die Werkself's trip to Berlin tomorrow. Schalke take on Hannover tonight at the VELTINS Arena. The Bayern star is on the road to recovery. That's it from us for today, but we'll back back tomorrow to continue our build up to Super Saturday. It's going to be huge! Bayern can be crowned Herbstmeister this weekend - a fancy word for the team that tops the table at the halfway stage of the season. Gladbach stand in the way on Matchday 15, but Pep Guardiola's men look confident enough. As well as preparing for Saturday's visit of Dortmund, Wolfsburg have also finalised a couple of friendlies for the upcoming winter break. Bayer 04 Leverkusen trio Stefan Kießling, Ömer Toprak and Sebastian Boenisch paid a visit to the local children's hospital earlier today. 1. FSV Mainz striker Yoshinori Muto should be fit to face Hamburger SV this weekend, after sitting out yesterday's team training session with a muscular problem. The Japan international has seven goals and four assists to show for his debut Bundesliga campaign so far. Xabi Alonso-esque precision from FC Bayern's Robert Lewandowski. Gladbach, watch out! Borussia Dortmund fans are getting to see their heroes in action this afternoon in an open training session. Defensive duo Mats Hummels and Sokratis Papastathopoulos are not taking part due to illness, but both players are expected to return to training on Friday. Huub Stevens has had a few words to say at his pre-match press conference ahead of the trip to Ingolstadt. "It's great that the fans are going to be there behind us. We can get through this situation together and we're delighted by their support." "[Tarik] Elyounoussi has suffered a bit of a muscular setback and we are just hoping he will make it for Saturday. [Eduardo] Vargas took a knock to his hip in training, and it looks like he is going to miss out. Every player has a chance to recommend themselves for a place in the squad – there is nobody who can be sure of their place." "It's not an easy situation that we are in, but I can see the development in the team and I'm pleased by this. Saturday's game is going to be completely different. Ingolstadt are very compact, but they can also put you under a lot of pressure going forwards." "I don't know what's happening in Ingolstadt – all I am interested in is that we have trained well and that we have taken a step forwards. We go into this game with a positive feeling, but what we have shown so far was only an improvement – it was not perfection. We are still where we don't want to be." "I am not here because I think this club can't go anywhere, I am here because I believe the team has quality to achieve what we want to achieve." "Unfortunately we're not going to have Moritz Hartmann with us this weekend – he's pulled a muscle. I have faith in all of my players to be able to make a contribution and help us out. I've not yet decided which 11 players I will be sending onto the field. [Stephan] Lex is not feeling any pain now and it's important that he is available again and I have another option." "They have a lot of quality and are certainly stronger than their league positions suggests. We want to keep Hoffenheim at a safe distance below us and we've shown a good reaction this week, and we want the same this Saturday." "We need to show a bit more composure on the ball, no matter how our opponents press us. We've got to become cleverer." "Leverkusen are an internationally experienced club. We're hugely motivated to play them. If I could lose ten kilos, then I would be out there on the field too. But since I can’t, I'll just have to watch from the bench and the team will have to do it without me. I don't need any praise of myself, I think all of the praise should go to the team." "We have a very important block of players in the middle and [Fabian] Lustenberger's decisive for us in this respect. Playing Vedad [Ibisevic] together with [Salomon] Kalou is an option, but it depends on Mitch [Weiser] and other factors. Mitch has trained with us all week and we will decide tomorrow whether he can play, but we're not going to take any risks."